Today, E. C. and May’s grandson Clif Clendenen and his son Drew are making that same cider using apples from those same trees and 25 other varieties planted since then. Apples from other orchards, both locally and from Sonoma County are blended as well. 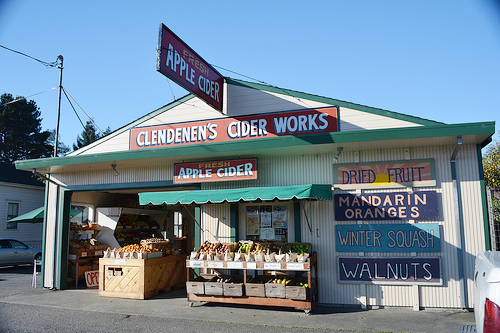 Open from mid August through January, Clendenen Cider Works has expanded to include farm fresh fruits and vegetables, honey, and other seasonal produce. Come visit us for a glass of the best cider you’ll ever taste!